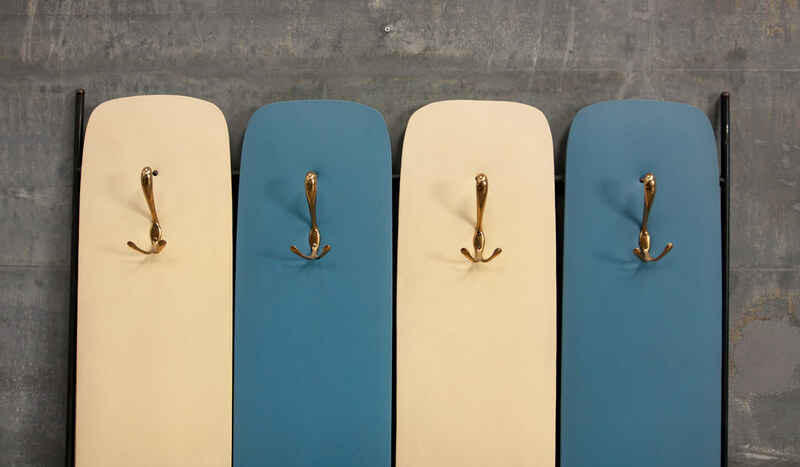 4 x original upholstered vinyl panels. 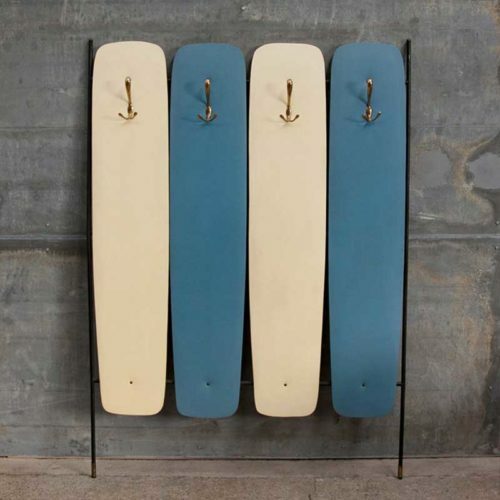 Frame is blackened steel with brass details. 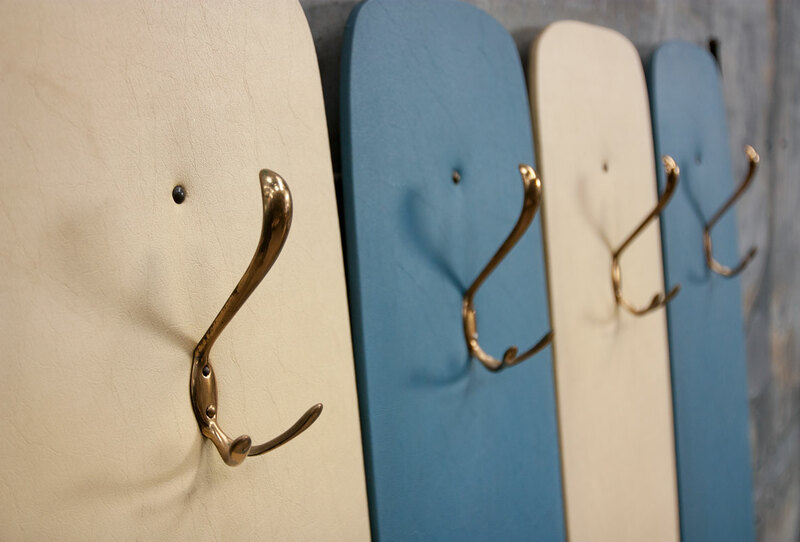 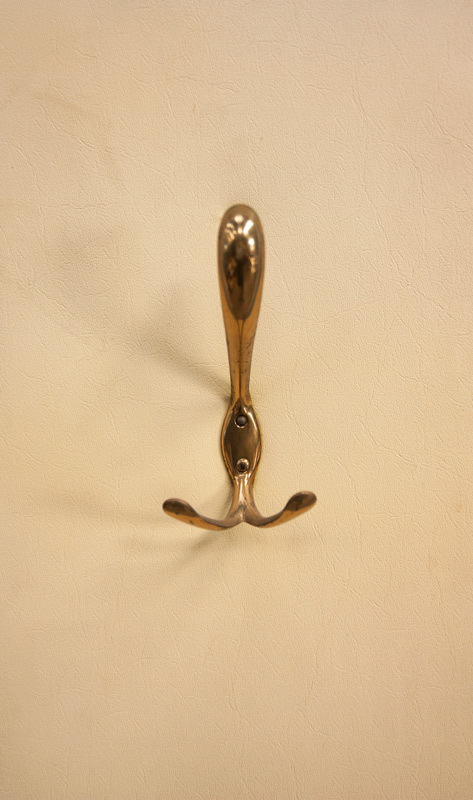 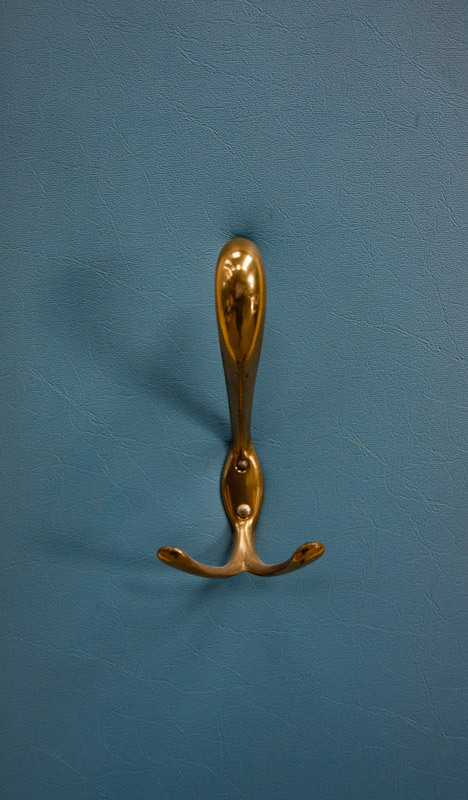 Hooks are brass. 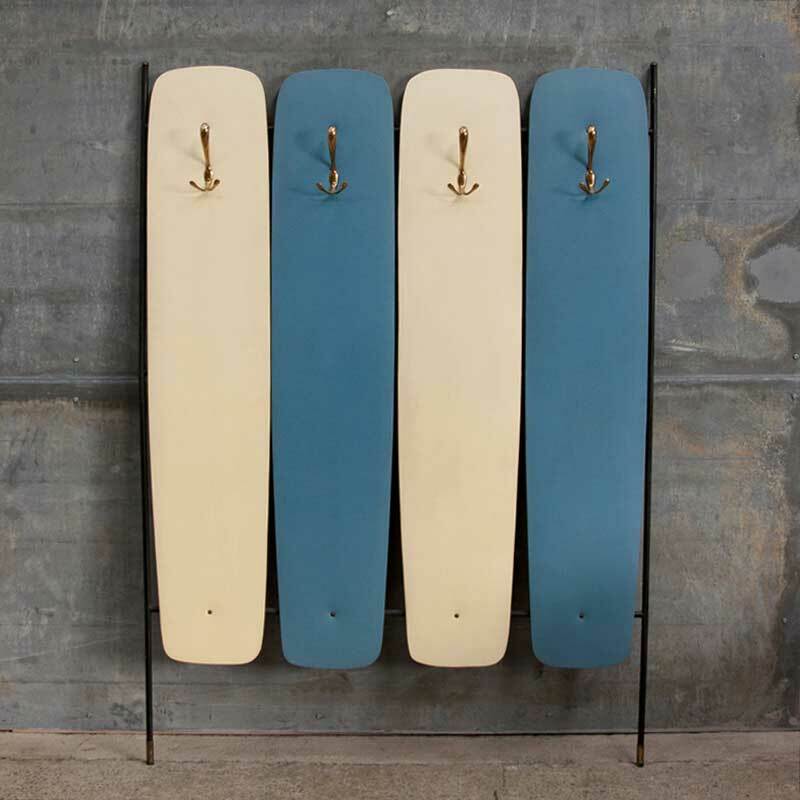 This beautiful 4 x panel coat rack still has its original two tone cream and blue panels (very much in the Gio Ponti palette) Completely original condition.